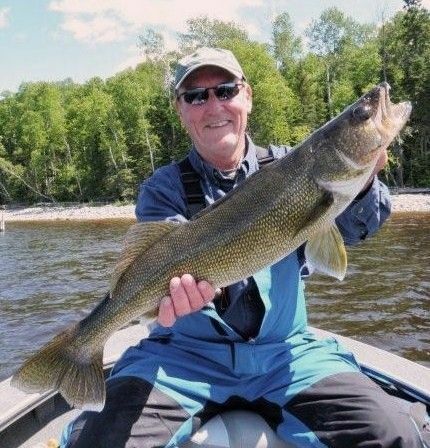 The weather cooled to more seasonally average temps this week, but the walleye bite remained hot. The bite was not as fast during the rainy unsettled weather days, but overall both volume and size were excellent. The pike and bass were a little less predictable, but still showed up in good numbers. The walleyes are on the move. 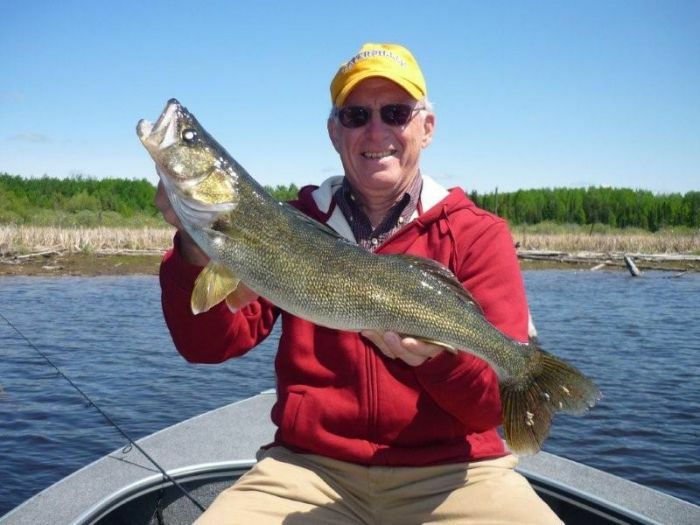 We are still catching fish back in “spring spots” along with some big ones, but we are also seeing numbers of big fish on “transition spots” and there were even a few fish caught yesterday on “summer locations.” Best depths changed on a daily basis with walleyes caught as shallow as 2 ft. and as deep as 30ft. 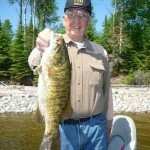 Most of the big ones were caught a little deeper than normal in 10 – 16 ft. of water. 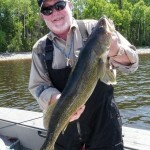 Jigs and plastics turned some walleyes, but most were caught on ¼ and 1/8 oz. jigs tipped with minnows. We didn’t really have 2 sunny days back to back to push fish shallow for a pitch bite. 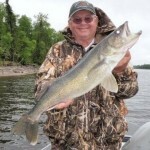 Walleye volume remained very good with boats averaging 30 walleyes over 18 in. on the guide’s reports each day. The highest daily total was 55. 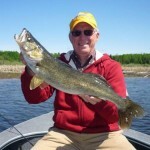 For the week, we had 30 walleyes over 27 in., including 6 – 28s, and 3 – 29s. 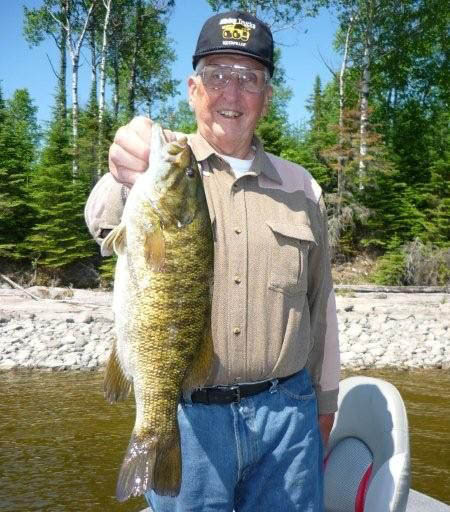 There was limited time spent targeting both smallmouth and pike this week with mixed results. 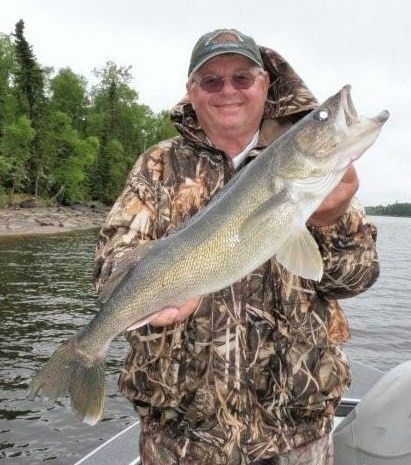 There were 9 pike over 37 in., including 2 – 40s, and a 41 that were caught and released, but some days were good and others were very quiet for guys casting. The big surprise this week was to find bass already on beds in extremely shallow water. 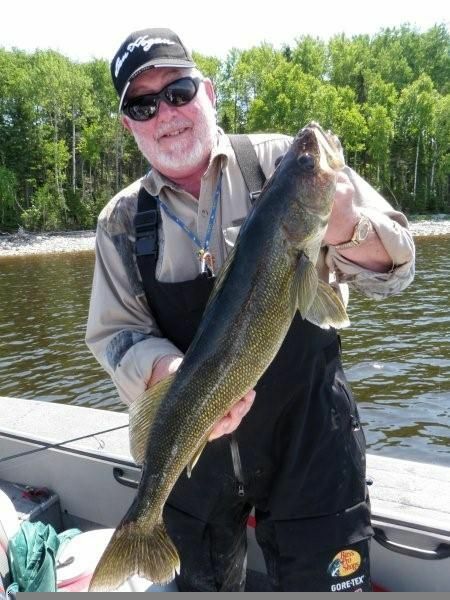 The lake level is lower this year than last and the early spring warm up and increased water temps have put the bass on an accelerated schedule. Many of last year’s June hot spots are out of water, so locations are also different this year. We caught and released 63 over 17 in. this week including 17 over 18 in. and 2 over 19 in. 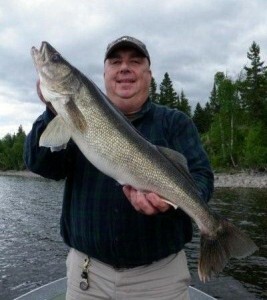 The warm spring has been great for the walleyes, but it could dramatically shorten our bass fishing season this year. Time will tell.